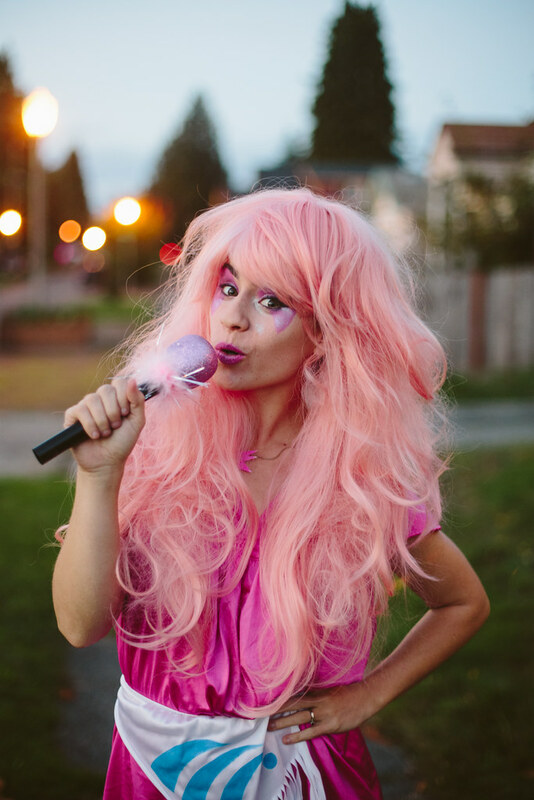 o, I was planning on being Wonder Woman for Halloween, but as I lay in bed the night before Halloween, I remembered that I had the perfect Jem-pink wig and that a Jem costume could be pretty easy to pull together last minute. 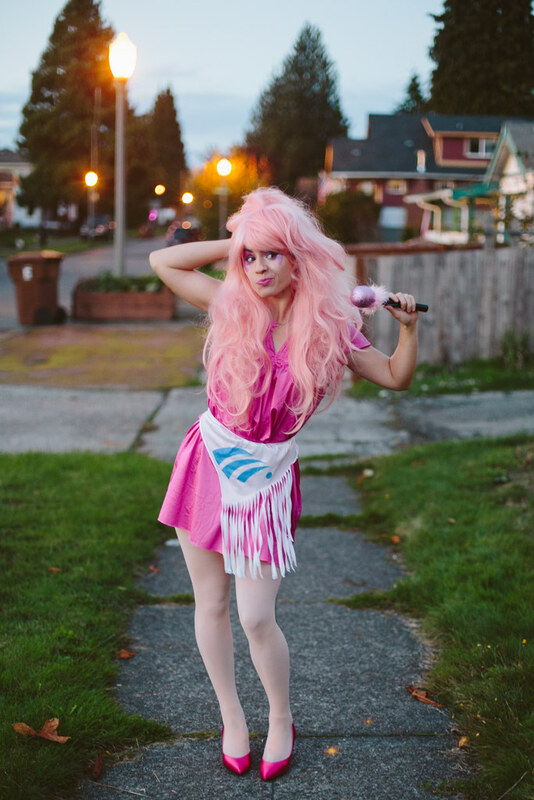 Dan and I went to Value Village yesterday and I found a pink night gown and shoes that were the perfect pink, and I grabbed a slip which I cut into Jem's fringe belt and then painted with the blue design. We found the microphone at Goodwill and I was set! 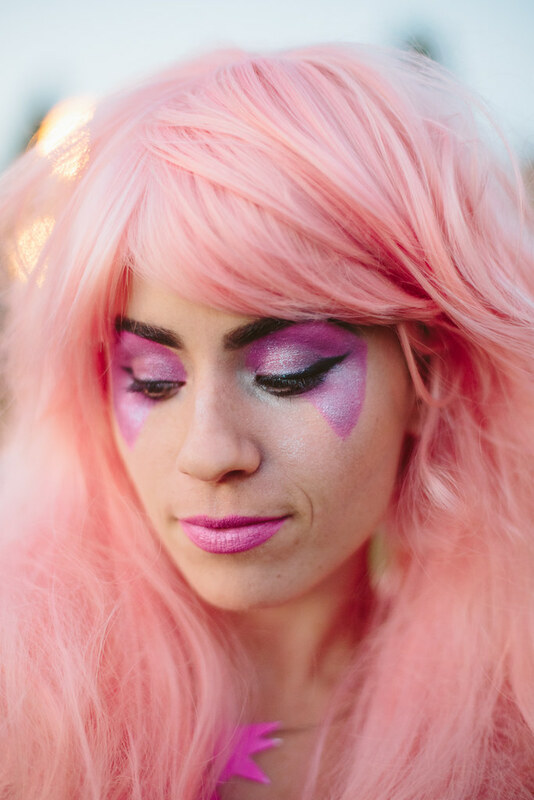 The make up was super fun, I used Lime Crime's Centrifuchsia for both my lips and for Jem's signature eye makeup. On top of the lipstick I brushed on some of Sugarpill's Magentric loose eyeshadow and then some loose MAC glitter all over. A little black liner and some dark bold brows and the make up was done! 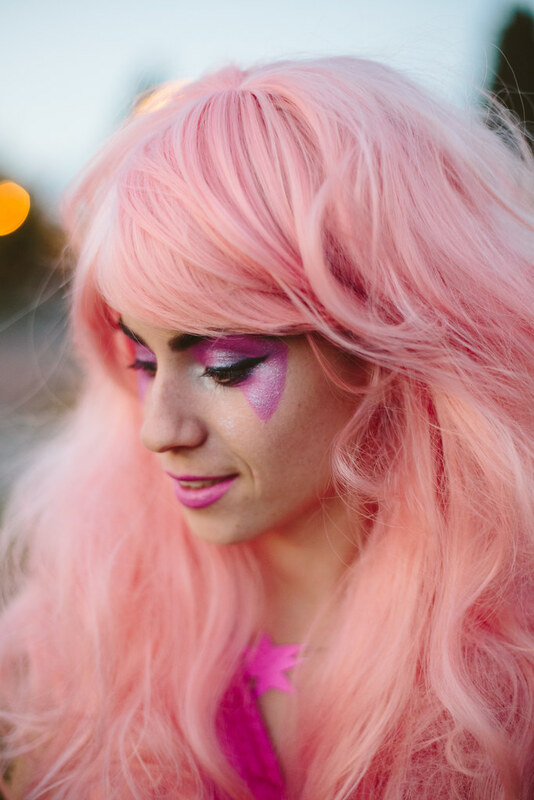 It was a really fun costume and I'm glad I decided to go for Jem. I'm still itching to wear my Wonder Woman costume, though! 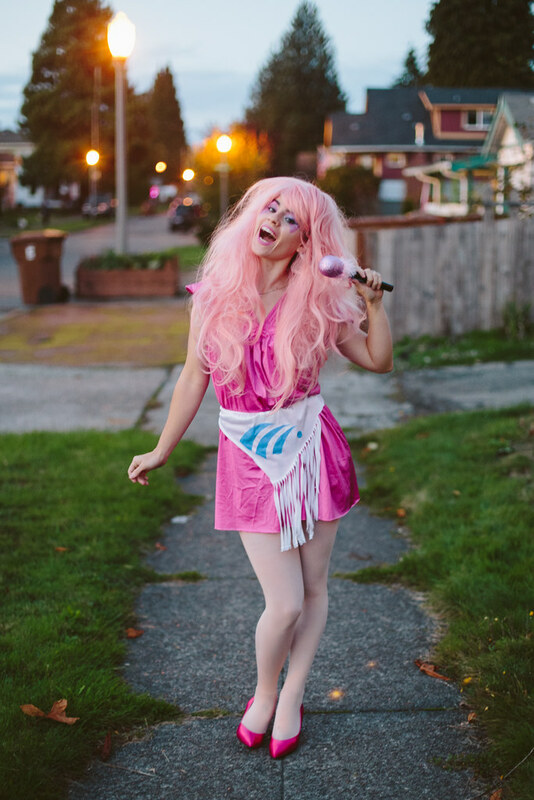 A friend has a Halloween party up in Seattle tonight, so I might end up going to that, which will give me the perfect excuse to dress up again. 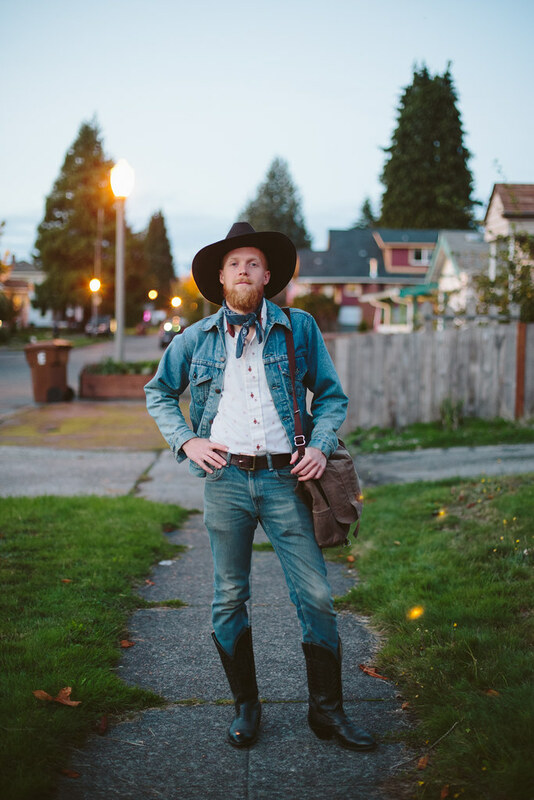 Oh, and Dan was a cowboy!